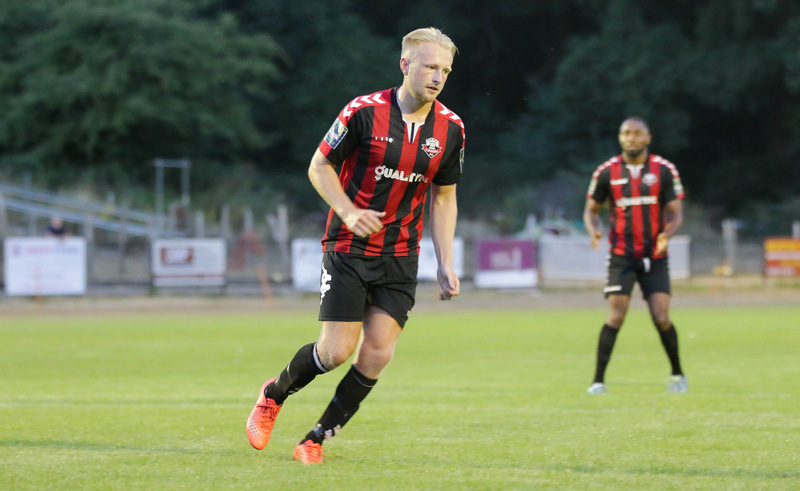 First-half goals from Nico Cotton and James Hammond helped Lewes make it five wins from five in pre-season with a hard-fought 2-1 victory at Peacehaven, reports Tom Harper. Lewes enjoyed the better of the first half and forced the Peacehaven goalkeeper into an early double-save to deny Luke Blewden and Nico Cotton after good play down the right. The Rooks were moving the ball around well, without quite reaching the heights of Friday's 3-0 win over Eastbourne Borough. They continued to create opportunities though, with James Hammond and Blewden unable to test the goalkeeper with close-range efforts at the end of good passing moves in midfield. Lewes finally took the lead after 42 minutes through Cotton, who sent a superb first-time curling strike from the right-hand side of the area across the goalkeeper and into the top corner after Omarr Lawson had seen his initial effort blocked. The Rooks doubled their lead two minutes later, as Hammond ran onto a loose ball on the edge of the area and found the bottom corner with the help of a slight deflection. After dominating much of the first half, Lewes started the second on the back-foot and conceded their first goal of pre-season within six minutes of the restart, as a Peacehaven player was left unmarked at the far post to steer a close-range effort past the previously untroubled Lewis Carey. The hosts saw plenty of the ball throughout the rest of the half, and came close to finding an equaliser midway through it as a powerful half-volley came back off the post. Lewes saw out the closing stages relatively comfortably to record their fifth consecutive pre-season victory, a fact not lost on Darren Freeman when he spoke to Barry Collins post-match. The Rooks finish their pre-season preparations at East Grinstead Town on Friday, kick-off at 7.45pm. Lewes: Carey, Brinkhurst, Redwood, Hammond, Chappell, Reed, Cotton, Trialist, Lawson, Blewden, Dukali. Subs: Barclay, Gifford, Elliott, Conlon, Freeman, Coppola, Medlock, Smith.